“Voice” happens to be my thing. In my 20s, during my quarter-life crisis, when I was trying to figure out what to do with myself (after it became clear that Hollywood and I didn’t have a future), I had a series of really boring temp jobs, the most mind-numbing of which was answering phones for an exterminating company. So what did I do with all that free brainspace? I wrote the entire sixth book of the Harry Potter series (before the actual sixth book was released). Longhand. On yellow legal pads. One hundred and ten thousand words. The exercise kept me from going totally insane and my friends and family enjoyed it — but what I didn’t realize at the time is that it was also an incredible exercise in understanding the intricacies of a writing voice, in this case, J.K. Rowling’s. Fast forward ten years or so, and it’s a talent I put to use every single day writing blog posts in my clients’ voice and teaching other business owners to develop their voice — without having to write epic fan fiction to do it! What is brand voice (and why do you need a strong one)? In the most basic terms, your brand voice is defined by the words you use and how you use them. But more than that, I believe it’s the place where what your customer needs and your experiences come together. If you’re just trying to solve a problem for people, giving them a how-to or whatever, that might be useful, but it’s not branded. It’s got no voice, no soul. If, on the other hand, you’re just talking about your personal experiences, that’s journaling. Nothing wrong with journaling, but it’s not going to help people much, and therefore not going to sell for your business. The power comes when you combine the two. Then you become not only helpful and interesting, but also unique. When you think about your favorite online guru, you probably can come up with some words to describe what their writing or brand voice is like. And if pressed, you could probably pick their writing out of a lineup because they have such a strong brand voice. Of course, it can take YEARS to truly find a voice that represents you — and honestly, I don’t believe it’s something you ever fully “figure out” but rather a process that continues as your brand grows and develops. If you go back and look at my first blog posts, they are a lot more “stilted” and formal, because I was laboring under the misconception that because I was writing for my “business” I had to sound “businessy.” This happens to a lot of people. But as I got more confident, so did my writing style. It’s a natural evolution. It’s a very involved process that often involves going deep with yourself and the reasons behind your business. In order to build your business, you’re building your brand; but in order to build your brand, you have to build yourself. BUT! To speed up that process, and give you a good place to start, I’m going to give you 3 key questions to ask to start uncovering your own brand voice today. 1. What does your voice sound like right now? The best place to start is where you’re at, so ask yourself: Is your writing voice currently a good representation of your brand? I once had a client who was a surfing coach. She ran retreats in California for women, and she taught them to surf and get back in touch with their spiritual side. But her website sounded like it had been written by a corporate lawyer! Turned out, she had been in the corporate world for years, and that was the only way she knew how to write. I told her she was missing an incredible opportunity to distinguish herself by using the vocabulary unique to surfing (hang ten, bro!) and spirituality. There was a major disconnect between what she was doing and how she sounded. But how do you know if your voice is a good representation of your brand? How do you analyze your own writing voice? I have a process I call the Voice Identification Process, and when I go through it with a client, I ask them a lot of deep, thought provoking questions. But my goal is less about what they say in their answers and more about how they answer: what words and phrases do they use? How do they describe what they do? You can look at your own writing and analyze the same things. Analyze existing copy, Facebook updates, even your personal writings or journal — whatever is closest to how you want to sound. Diction is the words you choose. Do you say “get” “acquire” or “invest”? They may mean the same thing, but they have very different connotations. Syntax is how you string those words together. Short sentences convey confidence, efficiency, strength. Long flowing sentences are more about poetic description, evoking feelings, strong emotions. Tone is the overall feeling. Is it conversational or corporate? Personal or impersonal? Emotional or logical? I’ve got an entire free ebook that goes into this in more detail (which you can download here), but once you’ve identified these elements, you’ll have a good idea of how you sound, and you can ask yourself: Is that how you want to sound? If the answer is yes, you can document what you’re doing so that you can keep doing it! If the answer is no, you have an idea of where to start to change it. 2. How do your customers sound? So you’ve identified how you sound, but is that a voice your potential customers will relate to? As with my surfing coach example, your voice might sound one way, but your customers expect or want it to sound another way. Marketing is a conversation, but too often we think we’re the ones that should be doing all the talking. Take the time to “listen” to your potential readers and customers — whether that’s in person or online. How do they talk about their problem? What words do they use? I see this happen quite a bit with life coaches and people who are selling processes or services rather than physical products. They start talking about “actualizing your potential” or “breaking out of the box” — but no one is waking up at 4am worrying about actualizing their potential. These words mean practically nothing to a potential customer who doesn’t describe their own problem in that way. The best way to make sure you’re using the words your customers use is to keep a file of things your audience actually says — emails you receive, comments on your blog, Facebook or Twitter discussions. How can you mimic their voice back to them? Corporate executives want a lawyer to sound one way; small biz owners afraid of lawyers want a lawyer to sound a different way. You have to figure out how your particular niche wants to have your marketing conversation. 3. How do you want your customers to feel? Voice conveys a feeling. As I said before, you get a different feeling reading Stephen King than Nicholas Sparks. So an important aspect of defining your brand voice is asking yourself, how do you want your readers to feel — and how can you use words to make them feel that way? I have a ghostblogging client who is a health coach for people with chronic disease. She wants people to feel like they are sitting with her, drinking tea, in a one-on-one coaching session — even when they’re actually reading a blast email that’s going to tens of thousands of people on her email list. We started calling it “knee to knee” for short to describe the kind of language and voice we want to achieve. Her tone is very personal, using “I” and “you,” and it’s very supportive, empathetic, using coaching language and asking thought-provoking questions. Considering how you want your customers to feel is an excellent way to start uncovering the specific words you will use to achieve it. If you want them to take action, you’ll use different words than if you want them to feel contemplative and be inspired. You might choose different language if you want people to find you friendly, funny, or professional. You’re going to use different language if you sell an expensive luxury service versus if you want people to feel like they’re getting a great deal. 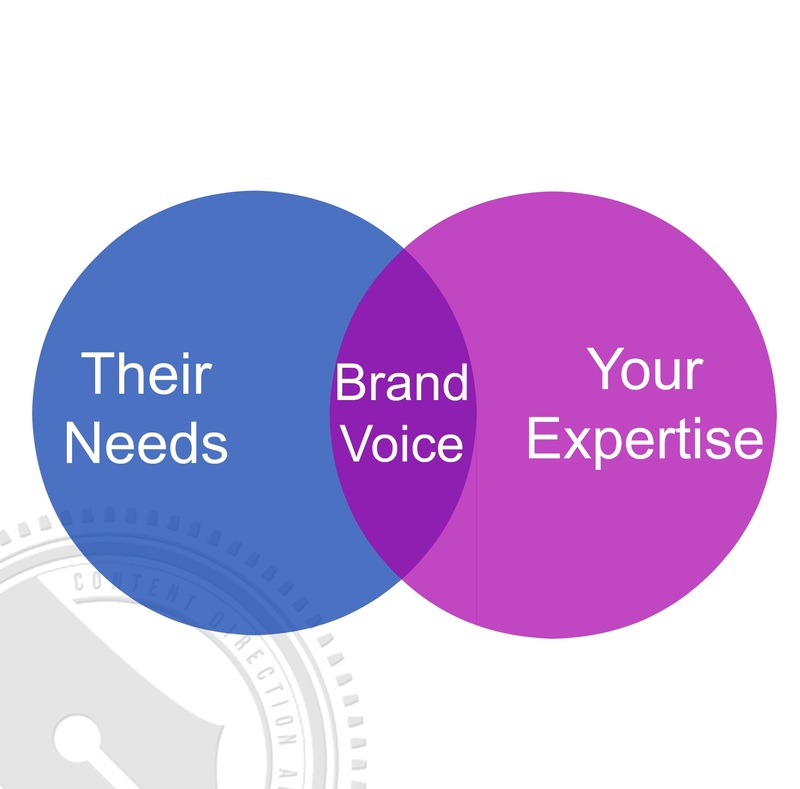 How to put your brand voice to work. Once you’ve uncovered your brand voice as it stands now, or worked out a strategy to get closer to where you want it to be… What’s next? Your brand voice applies to EVERYTHING you write from a tweet to a book. The best brands have consistent voice across every channel. 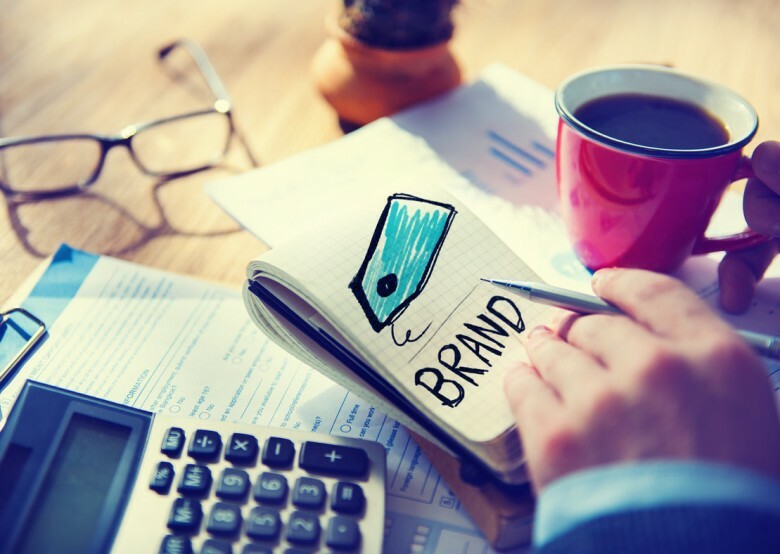 Understanding your brand voice can help you get and maintain that consistency. This is not to say that you immediately need to rewrite your entire website, but start considering your brand voice every time you write something new. I recommend creating a brand voice style guide to not only help you remember how you’ve defined your brand voice, but also to help any contractors or employees you bring on. It’s simply a guide that documents the tone, diction, syntax and style you’re going for with your brand voice. And I’ve created a template you can use to create your own right here. Uncover your unique brand voice, document it, and then start using it across all your content channels to differentiate your brand and create content people are eager to consume, like, and share. What Is The Best Age To Start In Business?